The smallest warper of the range, allows warping in a simple way without complicated controls but still gives a high quality result. Warping speed from 0 to 800 m/min. 7,5 Kw. AC motor equipped with a vector control frequency variator. Disk brakes with self cooling and two hydraulically driven jaws. Brake shoes with wear detector. Motor of 18,5 Kw. AC and frequency variator for progressive startup. 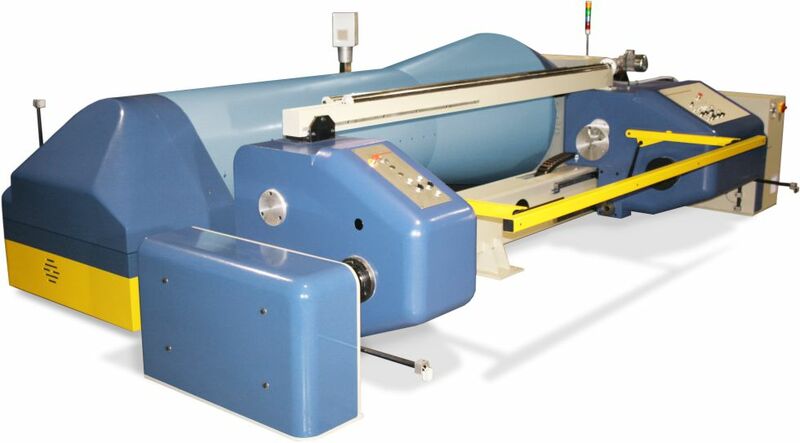 Beaming speed up to to 200 m/min, with a maximum tension of 6.000 N.
Constant speed and tension device. For beams with a 1.000 mm. maximum diameter.